With a limited production of 100 units only, the Aston Martin Vantage GT12 is truly an ultra-rare vehicle by modern standards. What are the odds that we would see it here in the Philippines? 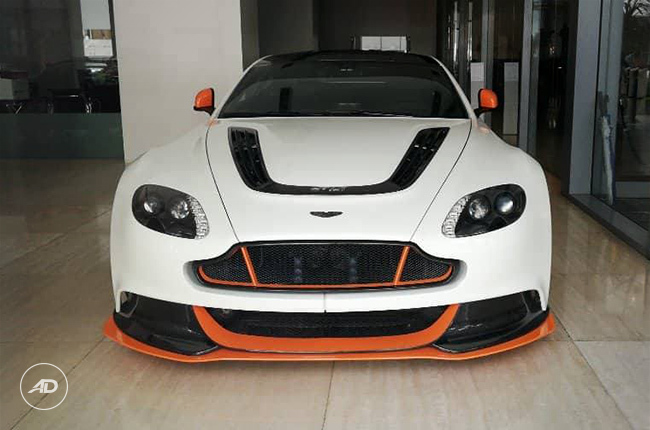 Well, it turns out that one of the 100 track-focused, road-legal Vantage GT12 is on display at Aston Martin Manila, the brand’s sole dealership in Bonifacio Global City (BGC), Taguig. This particular unit has a white and gray color scheme with orange accents, complete with the GT3-inspired body kit. It made an appearance back in August 2016, but it looks like it had a good time back then as it revisits the showroom in BGC. 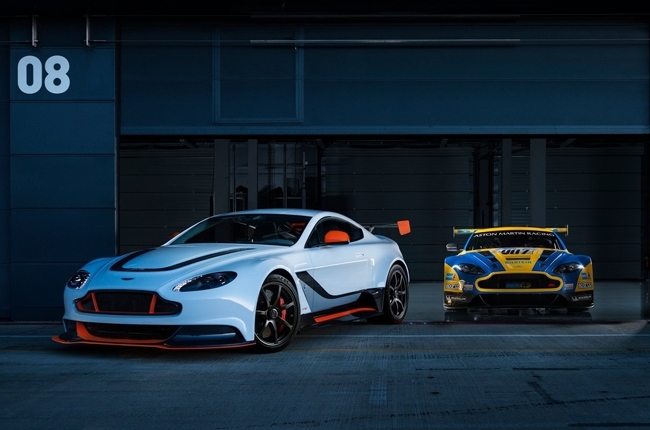 The Aston Martin Vantage GT12 made its public debut during the 2015 Geneva International Motor Show, with the first batch making its deliveries the same year. It features extensive use of carbon fiber inside and outside of its body to bring its weight down to just 1,565 kg. That’s roughly two Toyota Wigos. 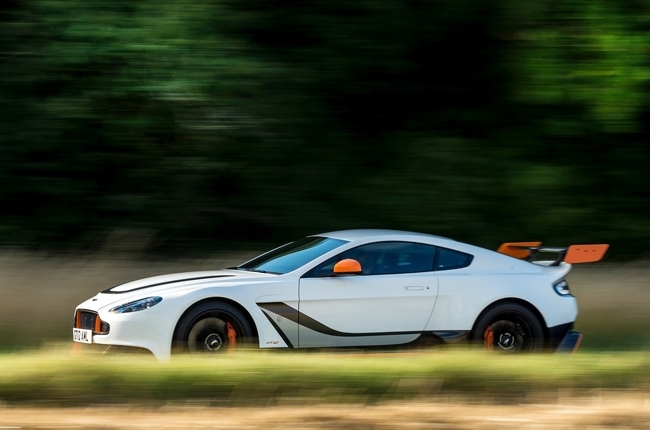 This special edition Vantage is powered by a 6.0L V12 is capable of 592 hp and 625 Nm of torque. 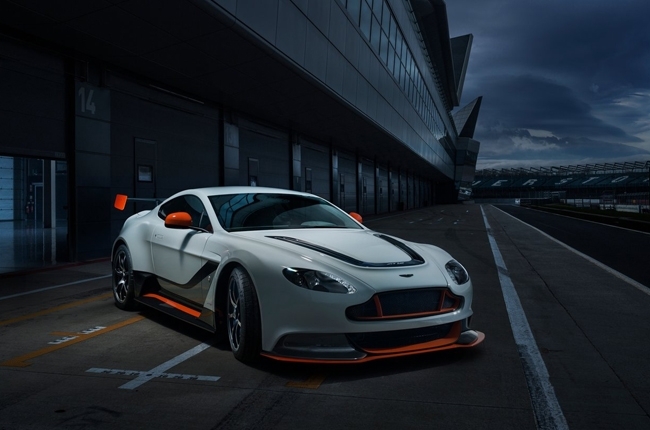 Given that it’s relatively light, the Vantage GT12 comes with Grand Touring levels of aerodynamics to help its produce enough downforce to keep it planted on the road, amplified by its prominent rear wing and front splitter. To why this is in the Philippines again, we can only speculate that either someone very rich bought it or it will make its rounds for marketing purposes. We hope it’s the former so it will have a permanent home in our country. 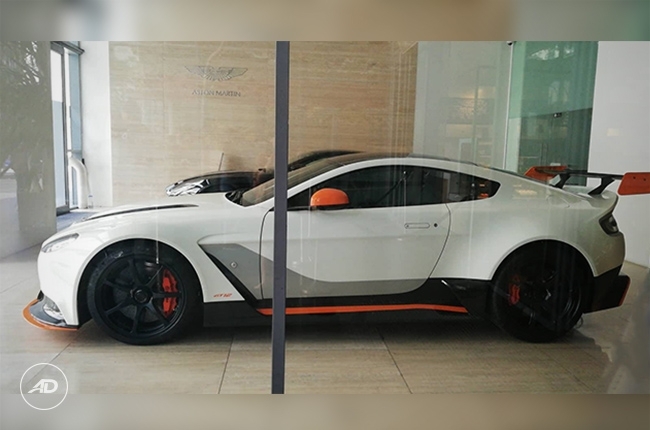 For now, if you want to feast your eyes on the Vantage GT12, you can visit Aston Martin Manila's dealership in the W-5th Center, BGC.